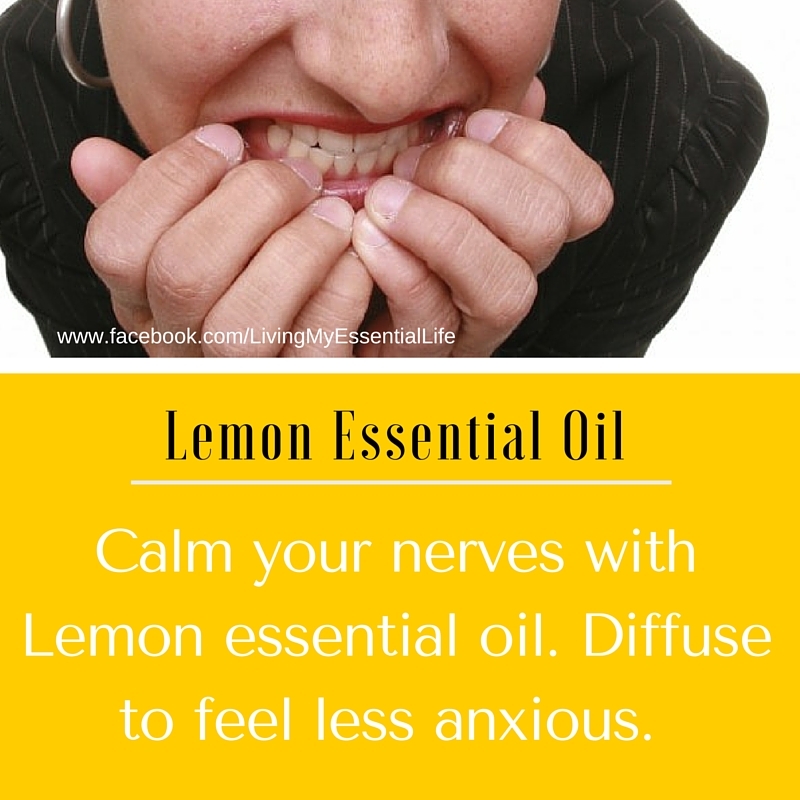 Learn the ways to use Lemon Essential oil for stress management, immunity support, natural cleaning, weight loss, and improve your overall well-being! There are specific ways to use it in your daily life for beauty, cleaning, relaxation, health, food, sleep, laundry….and so much more! 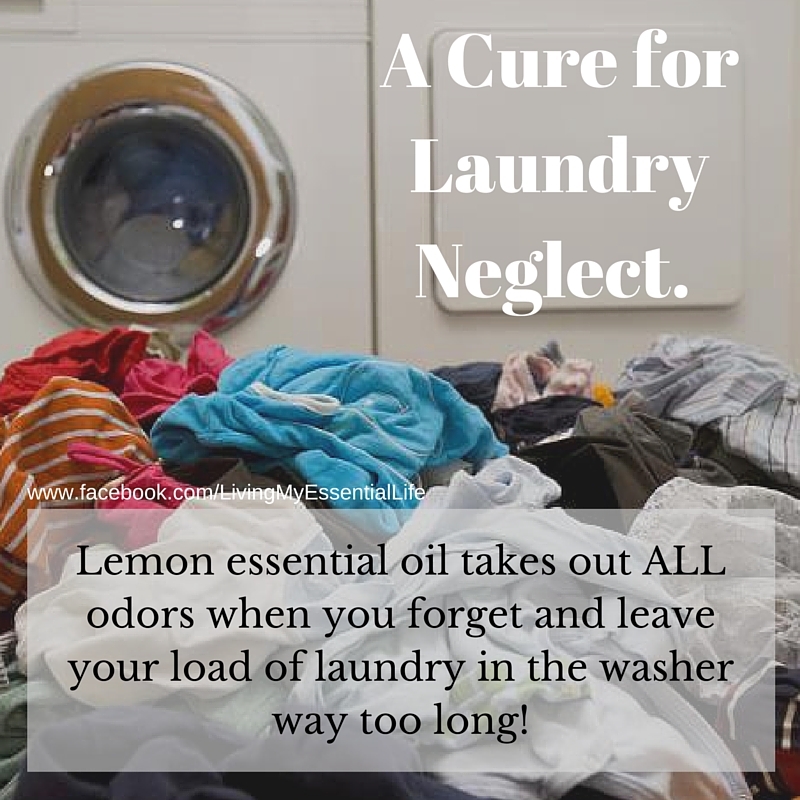 A Cure for Laundry Neglect. Lemon essential oil takes out ALL odors when you forget and leave your load of laundry in the washer way too long! You don’t need to hunt down that “single use” stainless steel cleaner anymore. 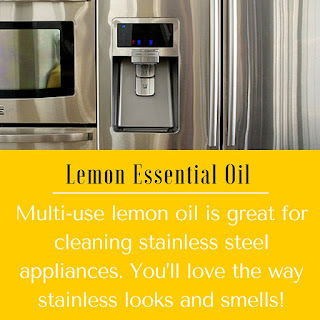 Multi-use lemon oil is great for cleaning stainless steel appliances. 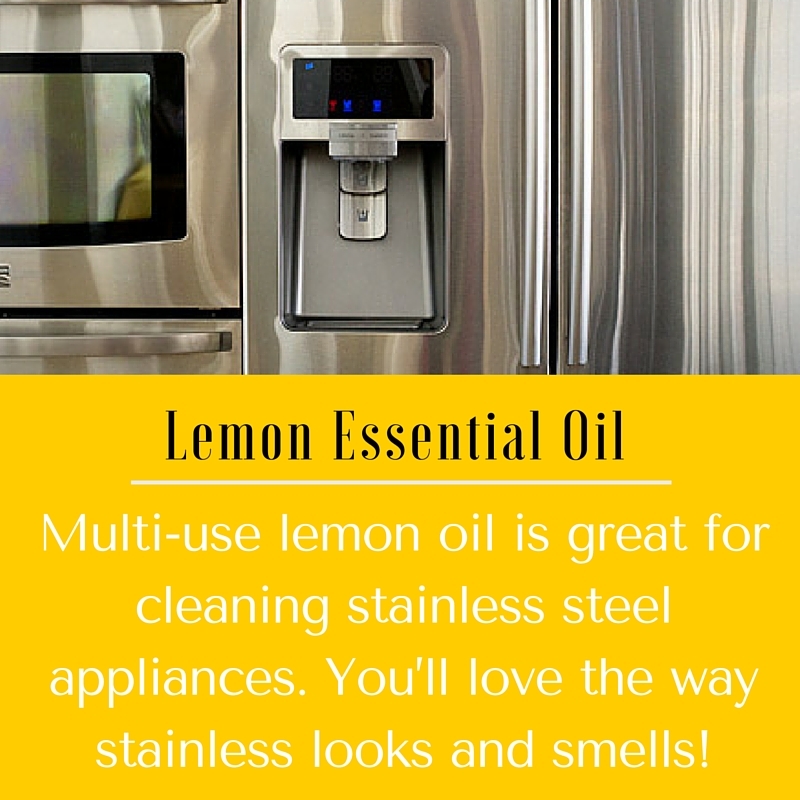 You’ll love the way stainless looks and smells! 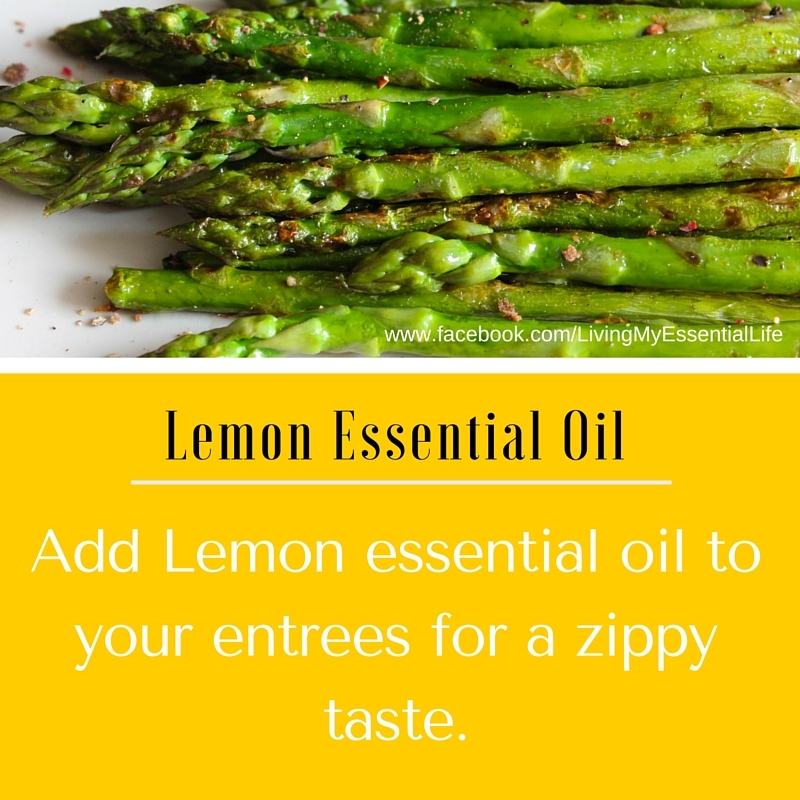 Control an Aphid Invasion, Naturally. Aphids — those pesky little bugs that dine on your roses and other plants. 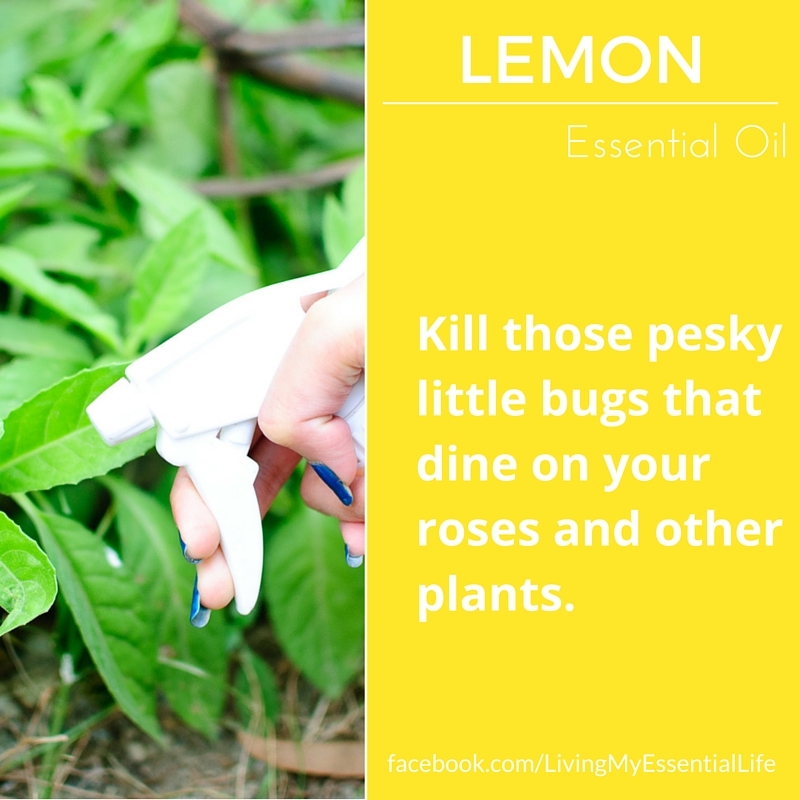 Lemon oil (or peppermint) with water in a garden spray bottle are a natural pesticide that kills aphids and their larvae on contact, but leave your plants looking lovely. 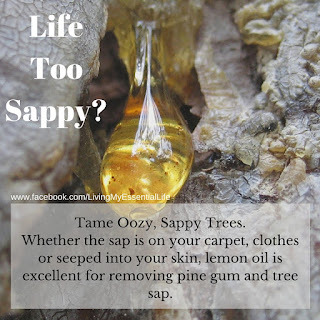 Whether the sap is on your carpet, clothes or seeped into your skin, lemon oil is excellent for removing pine gum and tree sap. If your toothbrush seems a bit tired, add a drop of lemon and peppermint oils to chase away that run-down feeling. 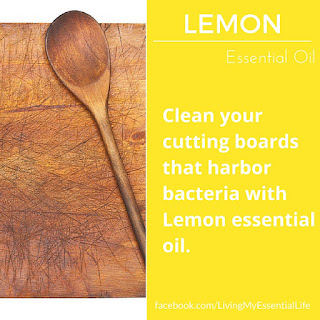 Stop Cutting Board Bacteria Palooza. Cutting boards can harbor bacteria in your kitchen. 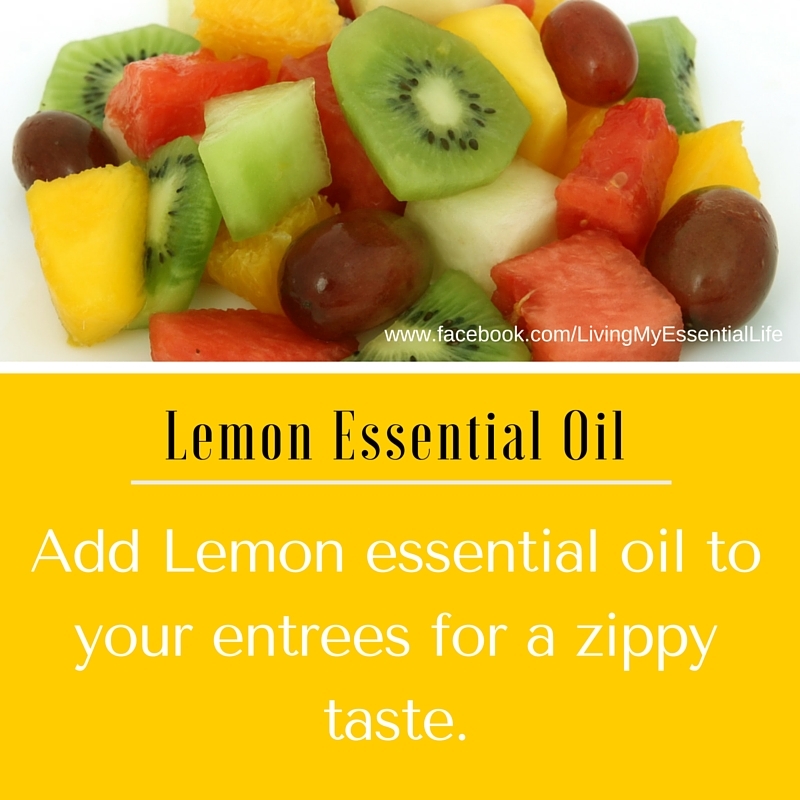 Nobody wants to taste the chemicals you have in your cleaning closet, yet most people love the taste of lemon! Stop Grease in its Tracks. You just fixed your bike. 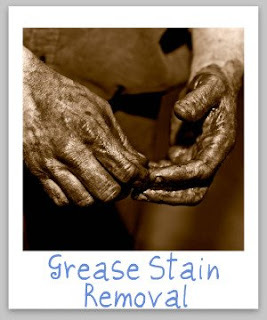 Your hands are black and greasy. 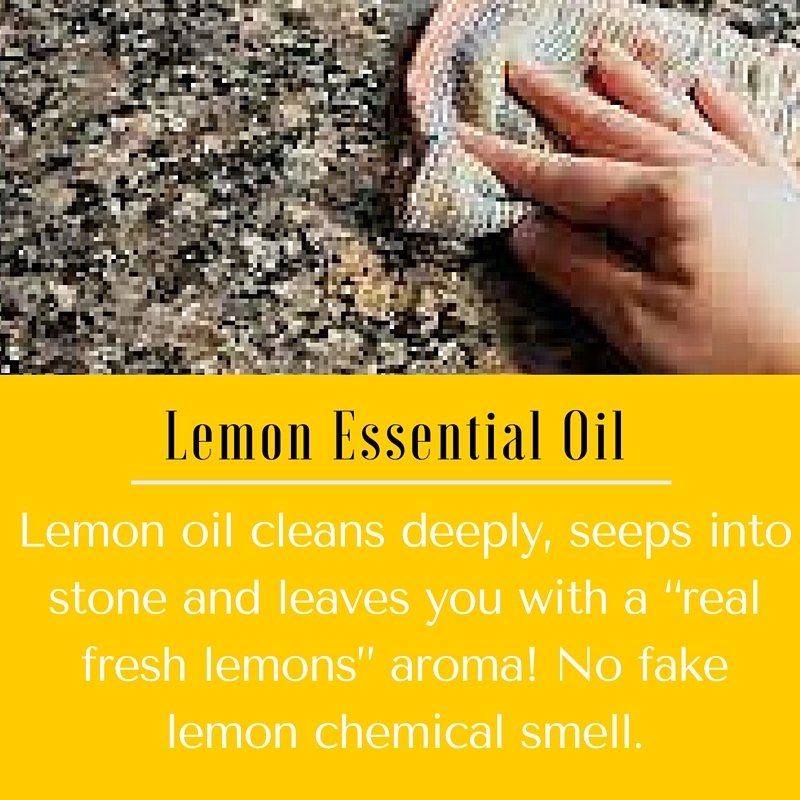 Soap alone won’t remove the grease, but lemon oil mixed with your soap will. 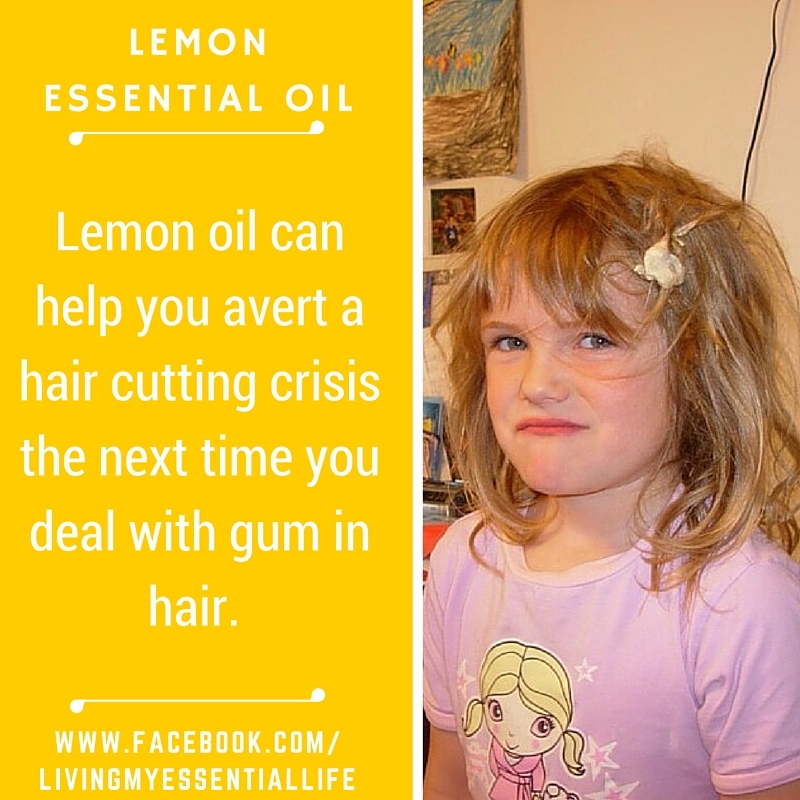 Lemon oil is a great de-greaser! Moldy kid’s sneakers, a baby’s blowout, potty training … it all adds up to an less than desirable aroma. 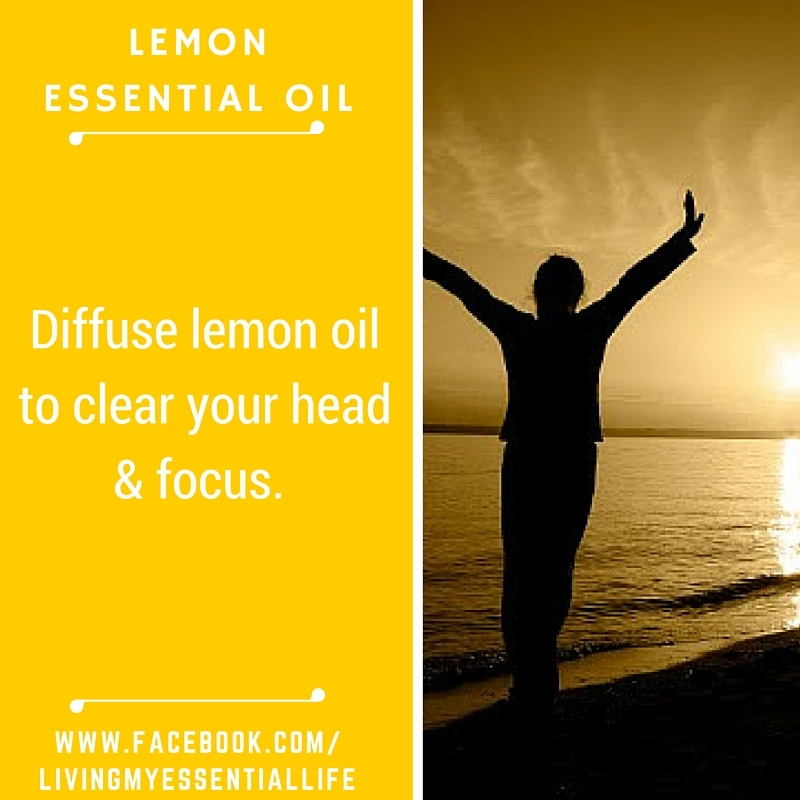 Diffuse or spray lemon oil and neutralize odors at their source! 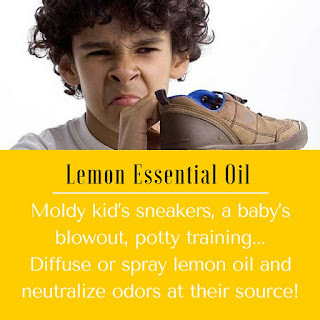 Curtail the Dank, Musty or Mildewed. Things get stored away. Things get old. Things don’t see the light of day. 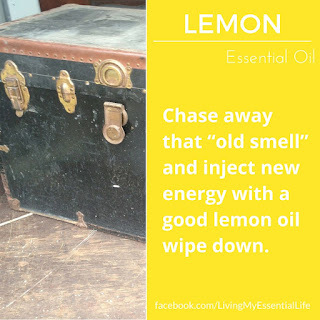 Chase away that “old smell” and inject new energy with a good lemon oil wipe down. 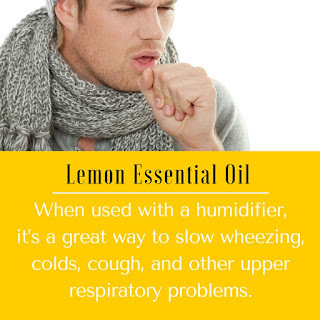 You can add lemon oil to a spray bottle of water and attack what may be living in your range hood, on your tables, countertops and other surfaces. 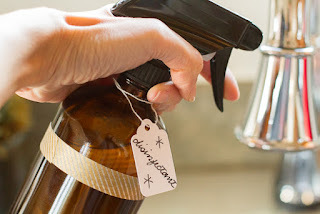 For some extra chemical-free firepower, a little vinegar is a traditional favorite. Take the Spine Out of Scuffs. 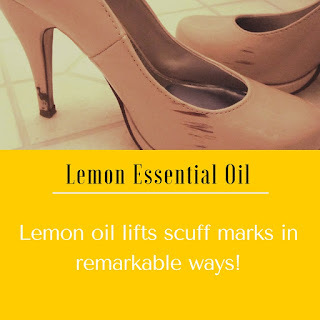 Got a scuff mark that just won’t go away? Lemon oil lifts scuff marks in remarkable ways! When you clean the gunky build up in your shower, do you practically have to wear a gas mask to survive the fumes? 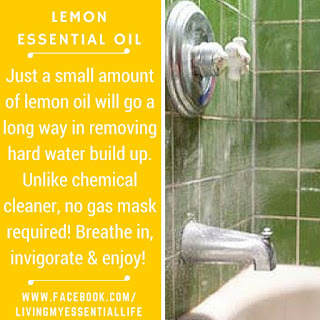 Go gas mask free and clean with lemon oil. Just a small amount of lemon oil will go a long way in removing hard water build up. Clean Granite or Porous Stone. What is living in the pores of your natural stone counters or floors? Lemon oil cleans deeply, seeps into stone and leaves you with a “real fresh lemons” aroma, rather than that fake lemon chemical smell. Whether you ride a Harley in style or cherish the patina of your leather sofa at home, your leathers are not maintenance free. 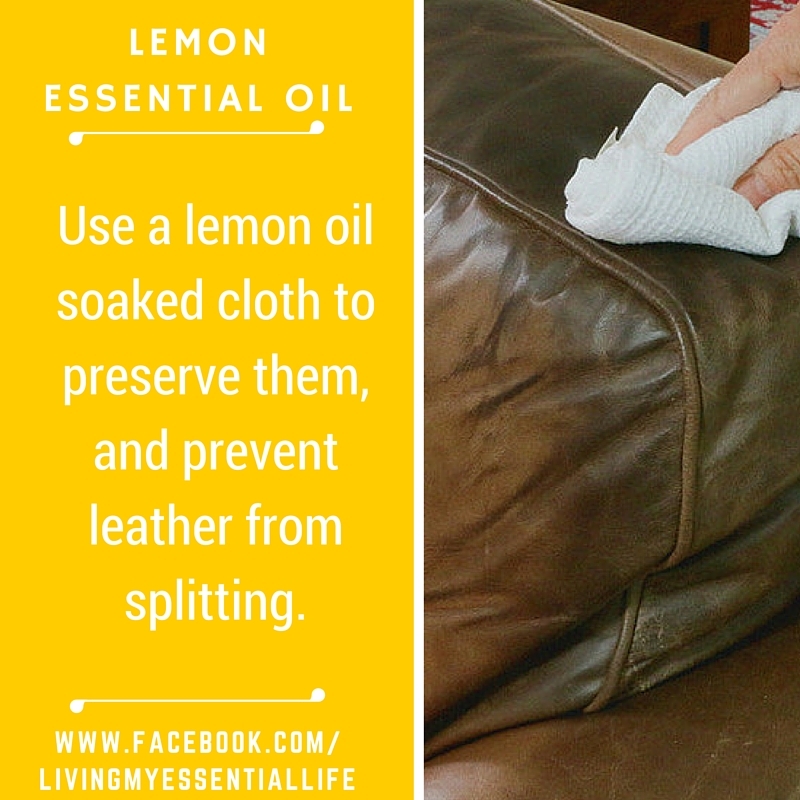 Use a lemon oil soaked cloth to preserve them, and prevent leather from splitting. Add a few drops of lemon oil to your dishwasher soap container with each load. 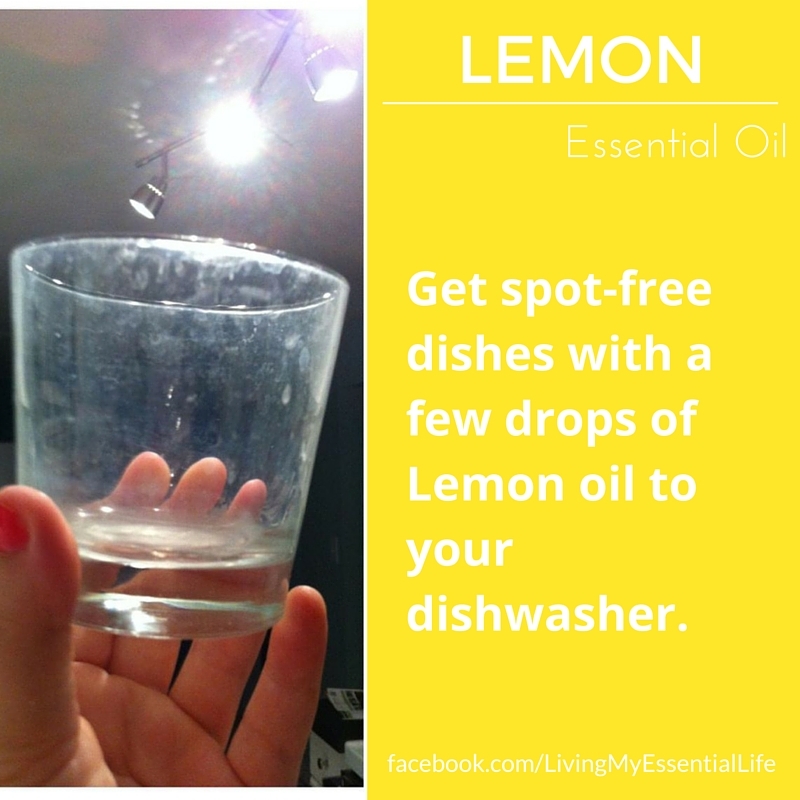 Your dishes will come out looking like new… spot-free! 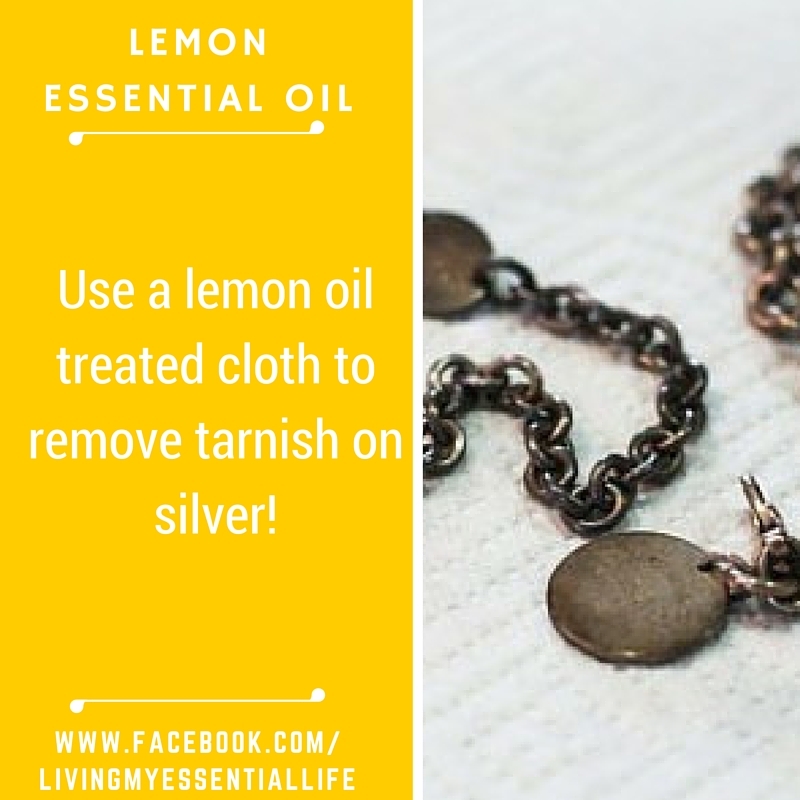 A lemon oil treated cloth is a great remedy for the early stages of tarnish on silver or other metals. You may not eat on silver every day, but bracelets, earrings, necklaces often need some love. 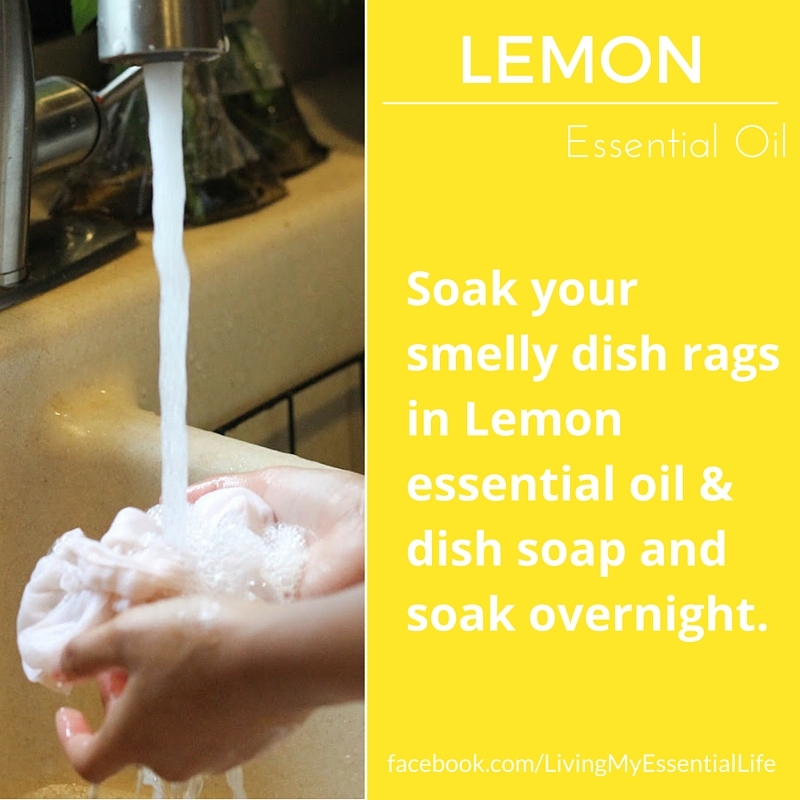 When your kitchen washcloths smell foul and could use a boost, add lemon oil to your detergent, soak overnight, wash, dry and your kitchen will smell so much better! Lemon oil can help you avert a hair cutting crisis the next time you deal with gum in hair. Got kids with obsessive addictions to stickers or temporary tattoos? Works for those too. Not for wide receivers. 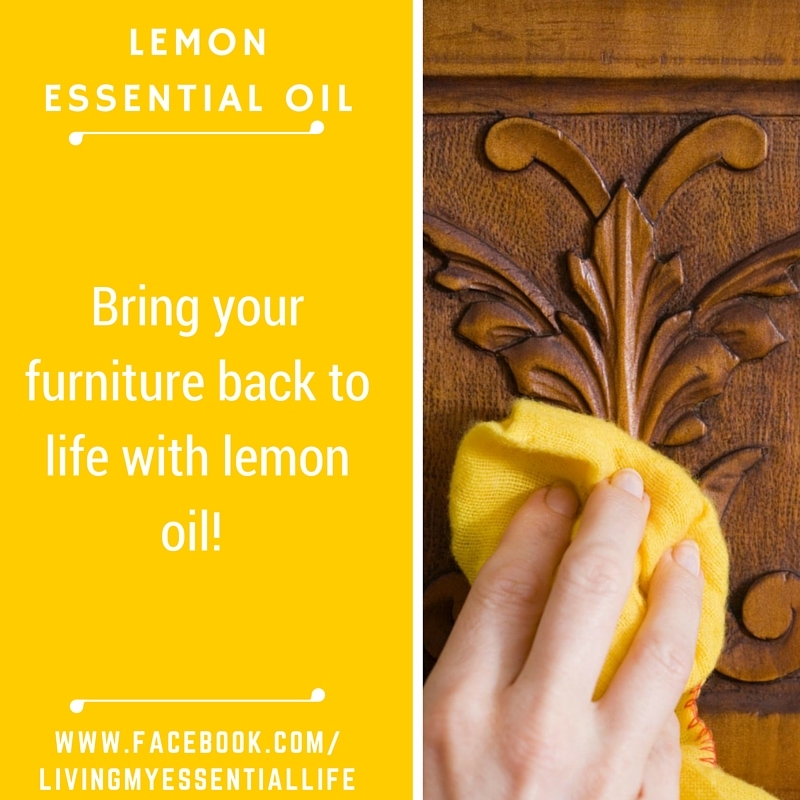 Bring your furniture back to life with lemon oil! Just add a few drops of lemon oil to olive oil for a non-toxic furniture polish. Lemon oil leaves a beautiful shine, prevents fine wood finishes from drying out, and replaces lost moisture in antique woods as it penetrates worn finishes. 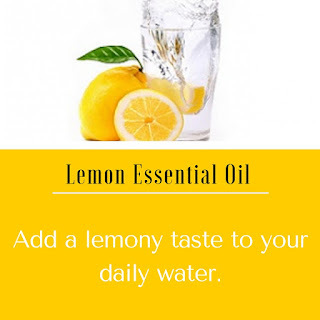 For a quick, refreshing energy boost, combine a couple drops each of lemon essential oil and peppermint essential oil in a glass of water and drink up. 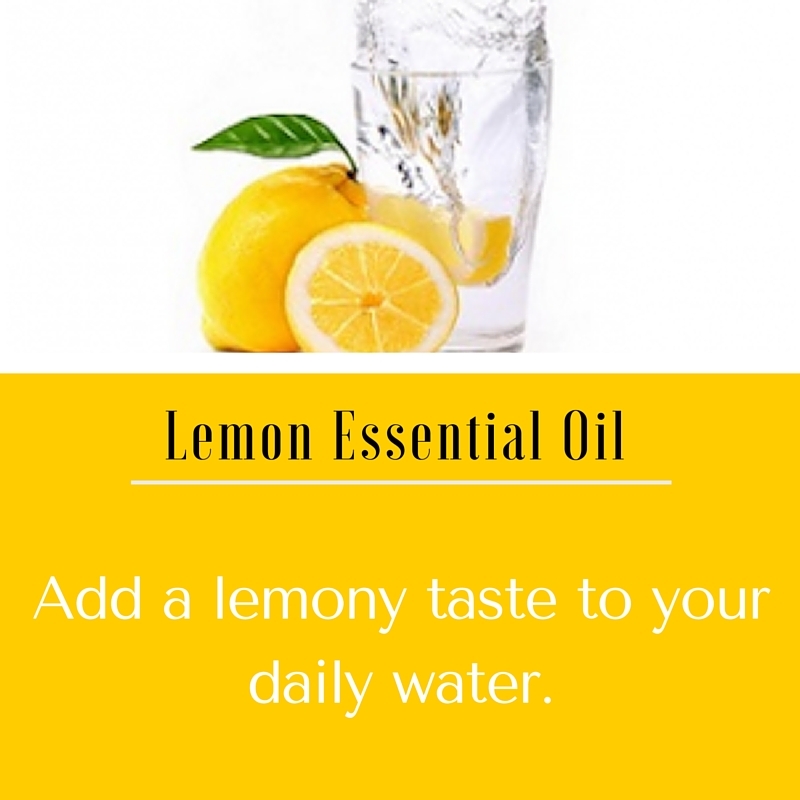 Add a lemony taste to your bottled water. 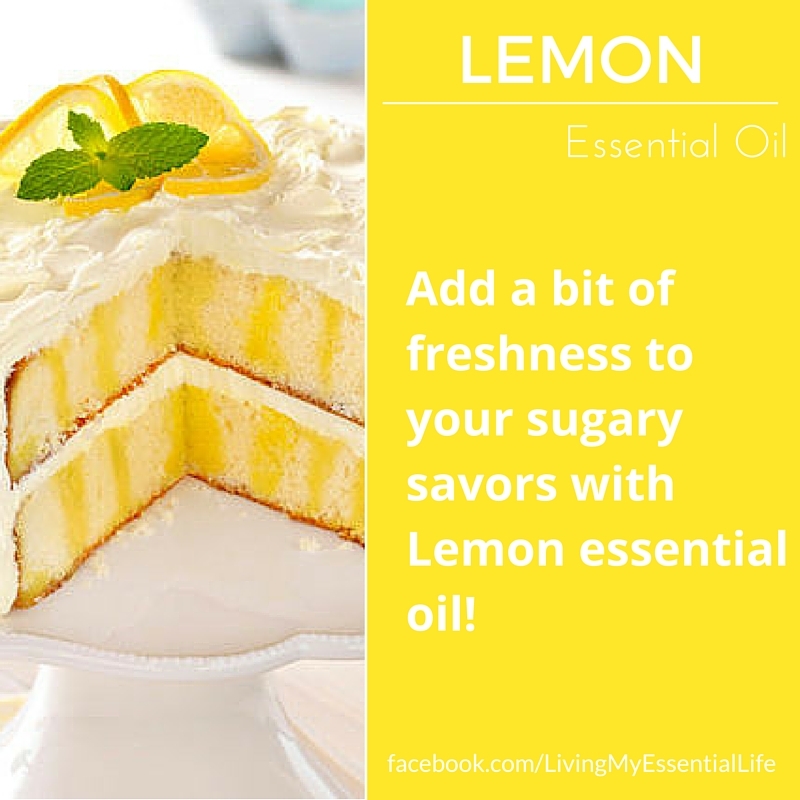 Zest Up Your Sugary Indulgences. 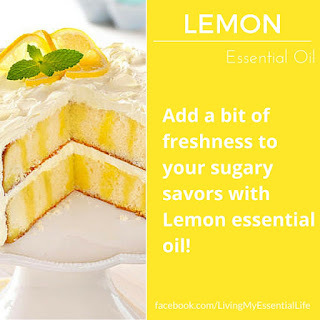 There are an infinite number of ways lemon oil can add a bit of freshness to your sugary savors: Lemon frosting • Lemon meringue • Sour cream lemon pie • Lemon cakes • Lemon tart glaze • Lemon squares • Lemon cookies • Breathtaking, awe-inspiring lemonade. With lemon oil, there are countless ways to make the bland zippy, or the blah peppy: Roasted salmon & asparagus with lemon oil, Linguine & shrimp with lemon oil, Lemon oil drizzled over vegetables (especially broccoli), Lemon garlic shrimp … or to add a fresh kick to an already great salad. 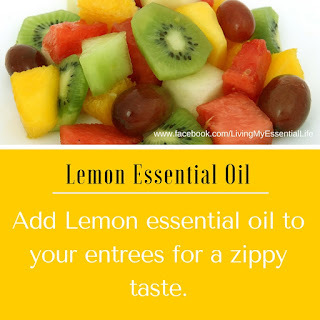 Use lemon oil in a spray to keep your cut fruit fresh until serving. 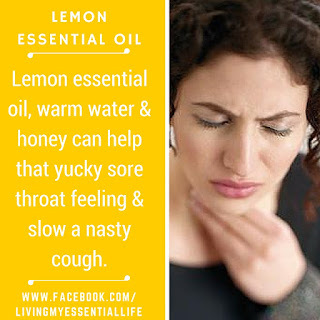 Adding a couple drops of lemon essential oil to warm water & honey can change that yucky sore throat feeling, slow a nasty cough, and douse a fever. Lemon oil fights bacteria, as well as viruses. When used with a humidifier, it’s a great way to slow wheezing, colds, cough, and other upper respiratory problems. Honeylicious Hair Highlights …Chemical Free. 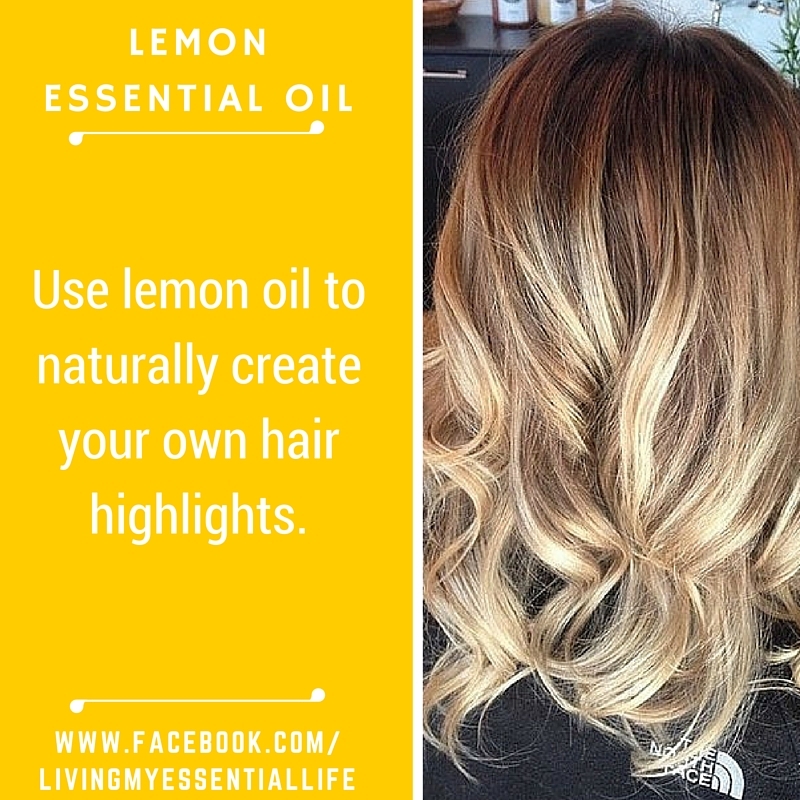 Skip the expensive salon highlight treatment, and use lemon oil to create your own hair highlights. Just go in the sun after using with your hair product, and it will lighten your hair. Be careful, it works well! Fight the Fungus Among Us. 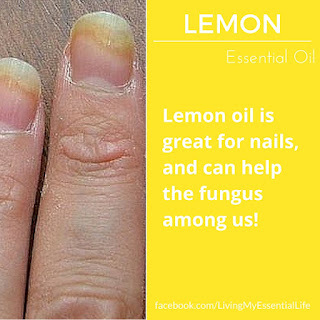 Tired of seeing that unsightly nail fungus? Lemon oil is great for nails, and can help fight against nail fungus. Halt the Nervous Nellie, In You. When combined with lavender oil and diffused into a room, you’ll find you feel less anxious, a better mood, more even keel, and well … linear. Clear Thinking & Clear Focus, Made Visible. A clear mind, a clean slate, a fresh outlook. It’s all good. Real good. Diffuse lemon oil and you got it. 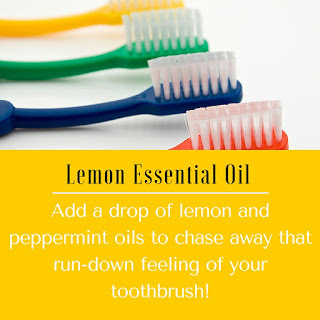 Take the Heat Out of Cold Sores. 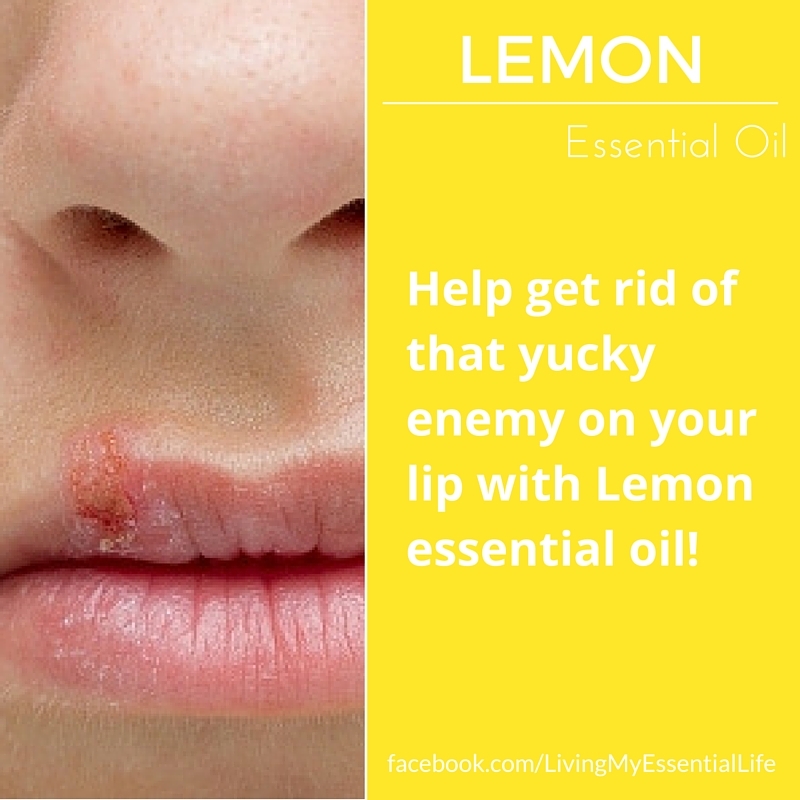 When you have a gnarly cold sore that’s just begging for attention, douse it with a few drops of lemon oil and you’ll have a new best friend. Nice Mood … No Really. 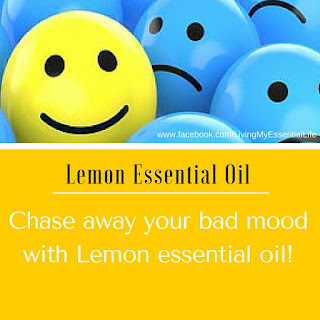 Chase away the moody blues (not the band), with a bit of blah-reducing lemon oil. Whether you choose to diffuse it or apply topically, it’s hard to not improve your outlook with lemon oil around! Next time you notice hard, crusty skin on your feet, (e.g. 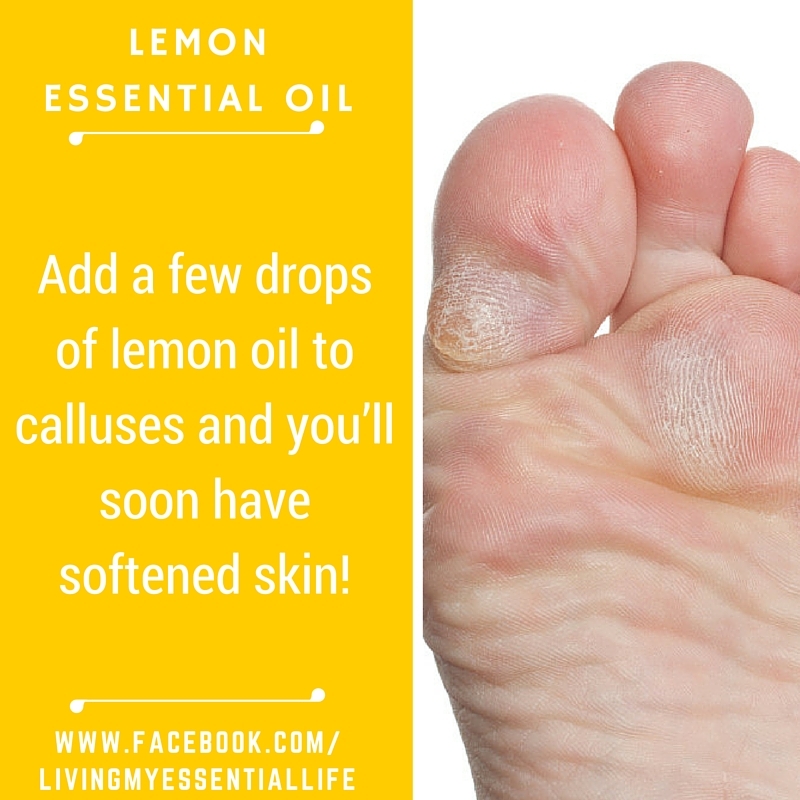 corns, calluses or bunions) regularly add a few drops of lemon oil and you’ll soon have softened skin! 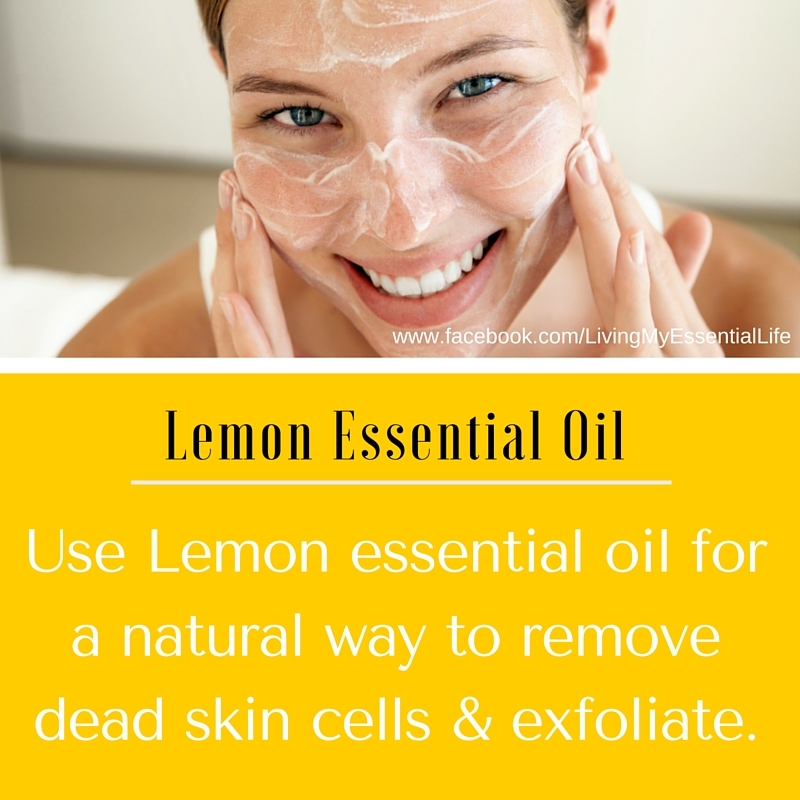 Lemon oil can help remove dead skin cells and exfoliate. For a homemade exfoliant, add 4-5 drops to a small amount of oatmeal and water for a homemade scrub. Feels great!